Fresh from the Hardwood Furniture Market in Holmes County! 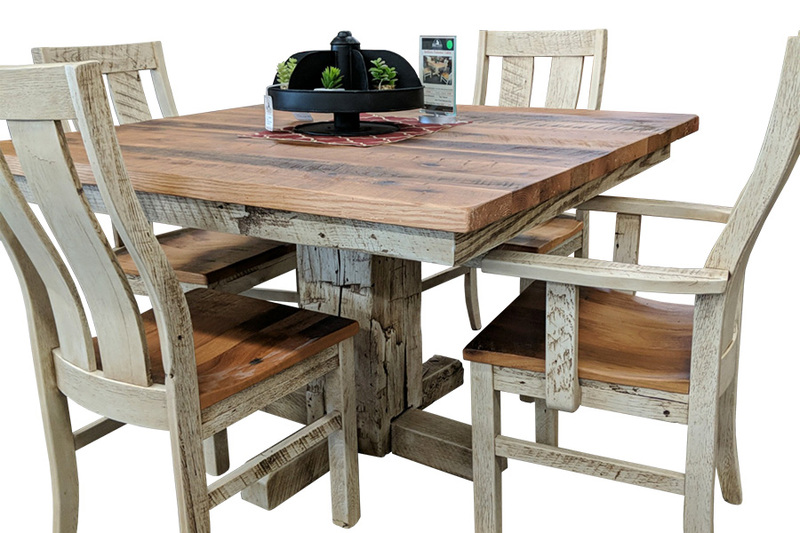 A stunning reclaimed barnwood dining set. Two-tone finish. Shown as 48"x48" but available in many sizes and finishes.